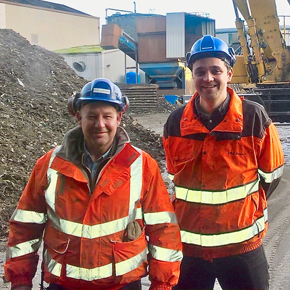 Axion Polymers has made two key appointments as part of a strategic investment plan at its advanced automotive shredder waste processing plant (SWAPP) in Trafford Park. Mike Bennett has been appointed the company’s new technical manager and will be tasked with developing the long-term, large-scale projects at Axion, with an emphasis on efficiency improvements and new processing operations. The SWAPP facility already achieves the 95% recycling and recovery target set by the 2015 EU. The plant produces recycled plastics, including Axpoly r-PP51, which is remade into automotive components and materials for the construction industry, in addition to high calorific solid recovered fuel. The company has also appointed Peter Eastham as the SWAPP Operations Manager. Peter will be responsible for overseeing the daily operations and the introduction of further efficiency and engineering improvements.